Note: This article was first published in Nov. 2017. This incredible piece of art has been kept in immaculate condition and is worth the hike! 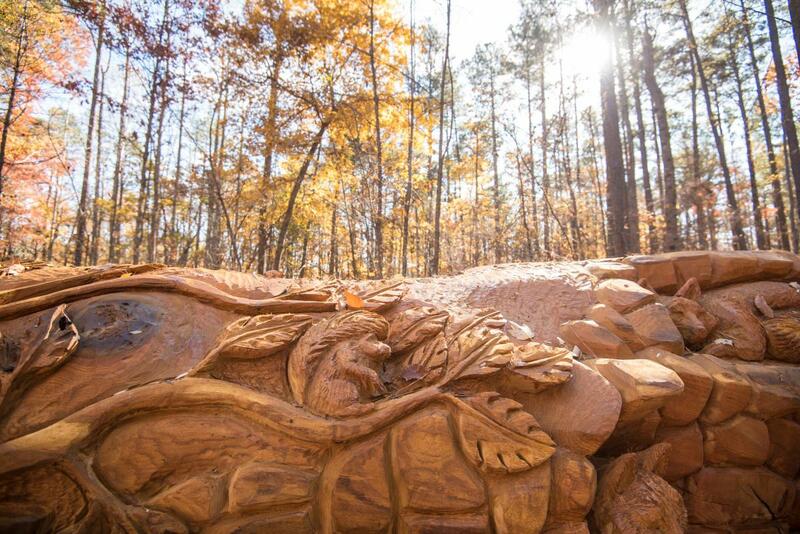 A brand new, functional piece of art awaits visitors inside William B. Umstead State Park. 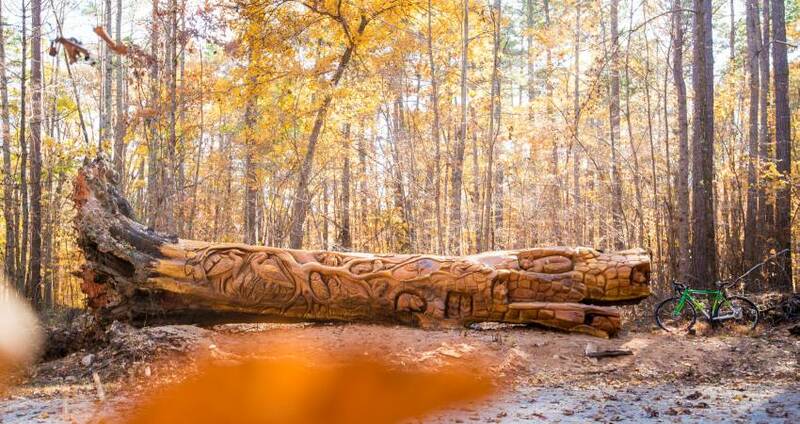 A fallen red oak tree—approximately 25 feet long and several feet high—has been transformed by artists Jerry Redi and Randy Boni of Smoky Mountain Art. 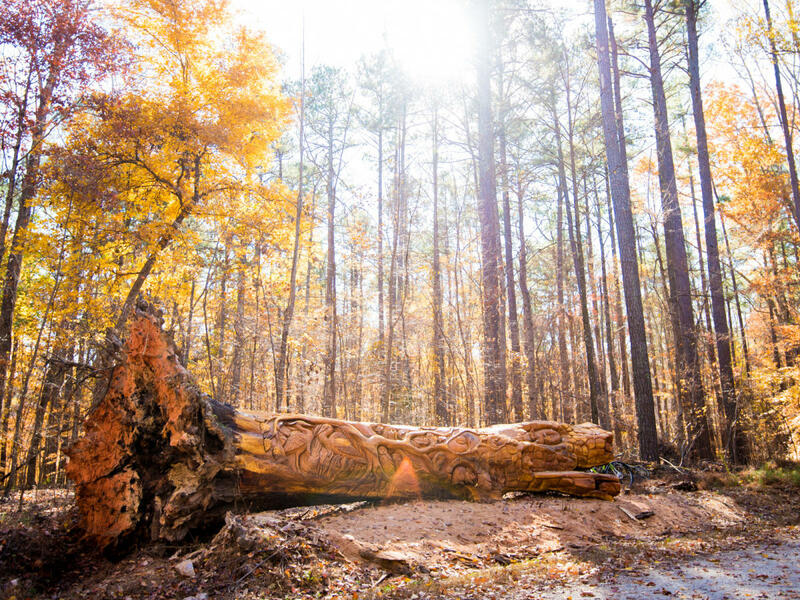 In mid-Nov., the pair spent a week using chainsaws to cut and carve away a series of animals, tree branches and leaves into the downed tree that lays just off the Graylyn multi-use trail—one of six multi-use trails inside the park that make up a total of 13 miles of paths available to hikers, cyclists and horseback riders. 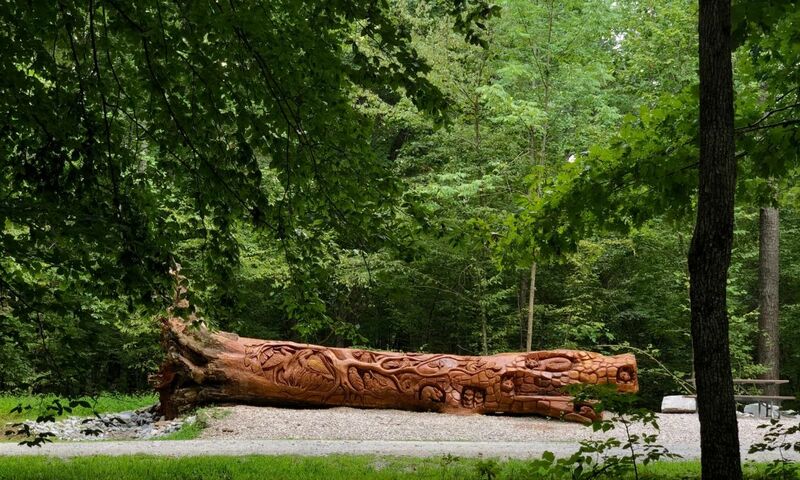 The stunning piece is stopping park-goers in their tracks, pausing for photo opps and to appreciate the intricate details found in the squirrels, rabbits, swans, owls and more beautifully carved into the wood. Easy (one mile): By far the easiest and shortest route to the chainsaw art attraction is to enter the park at the Crabtree Creek entrance and follow the signs to park your vehicle at the Sycamore Rd. parking lot. You can enter "Sycamore Parking" into Google Maps for the exact spot. Once parked, follow the path up a short hill, past a sign for the Sycamore trail until you connect with Graylyn multi-use trail (roughly a quarter of a mile) where you will continue to the right. Travel approximately 0.3 miles once on the Graylyn trail and you&apos;ll find the fallen tree on your left. This is an ideal option for anyone traveling with younger children. Medium (6.5 miles): A great option for anyone wanting to get in some exercise is to begin your hike, run or bike ride at the Reedy Creek entrance to the park off N. Harrison Ave., where a paved lot with plenty of spaces awaits. 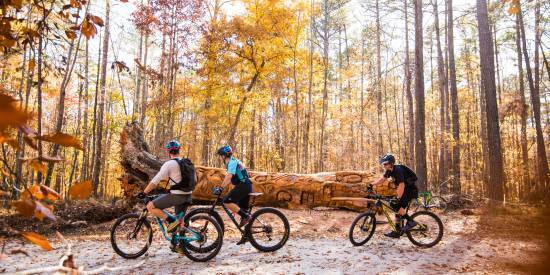 From there, you&apos;ll backtrack just a hundred yards or so to turn onto the Reedy Creek Lake multi-use trail, which begins as a paved road on your left before quickly turning into an unpaved path heading downhill. 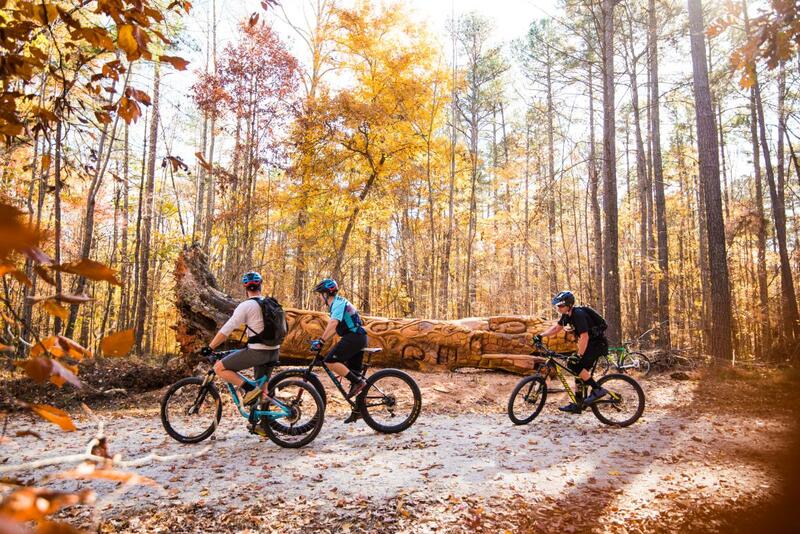 At the bottom of the one-mile descent, you&apos;ll pass Reedy Creek Lake before turning left onto the Reedy Creek trail (note the difference between the Reedy Creek Lake and Reedy Creek multi-use trails) and heading uphill for two-thirds of a mile where you&apos;ll connect to the Graylyn trail. From there, it&apos;s approximately another one mile until you reach the chainsaw art on your right-hand side. In total, this route is 3.2 miles one way with two downhill and two uphill sections. Difficult (12 miles): Essentially the same elevation changes as the medium route but with more miles tacked on, this route is best for cyclists and experienced runners. 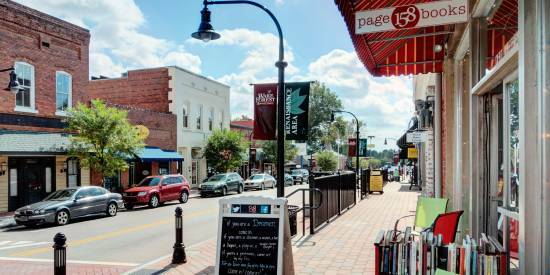 The route starts at the North Carolina Museum of Art—where there&apos;s plenty of free, paved parking available seven days a week—and comes with the major added bonus of getting to explore the world-class, 164-acre museum park. After a quick 1.5-mile warm-up through the art park, you&apos;ll hop onto the Reedy Creek Rd. greenway and travel 2.3 miles until you reach the Trenton Rd. gate to enter Umstead State Park (this entrance has no available parking). From the gate, you&apos;ll travel two miles straight ahead before veering to the right onto the Graylyn trail, then one additional mile before reaching the art piece. Note that there is a water fountain available at the museum park and another just inside the Trent Rd. gate at Umstead State Park (take your first right once past the gate, the water fountain is approximately 80 yards ahead just off the S. Turkey Creek multi-use trail). N.C.&apos;s most visited state park, the 5,500-acre Umstead State Park welcomed more than 1.8 million visitors in 2016. 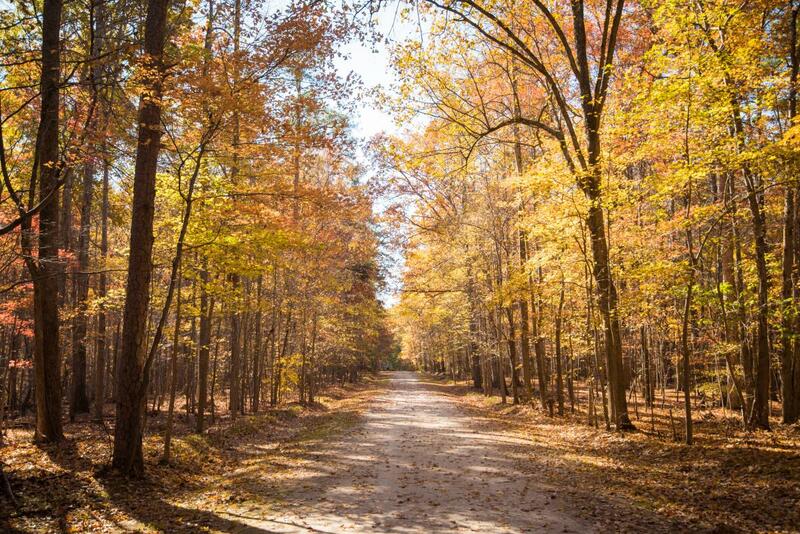 The park, which sits on the borders of West Raleigh, Cary and Morrisville inside Wake County, offers 22 miles of dedicated hiking trails in addition to the 13 miles of multi-use trails that traverse through wooded areas (pets are allowed on hiking and biking trails). From May to Sept., a boathouse on Big Lake offers canoe and rowboat rentals for a small fee (and fishing is permitted). For those interested in enjoying a longer stay inside the park, 28 tent campsites are available from March through Dec. 1. 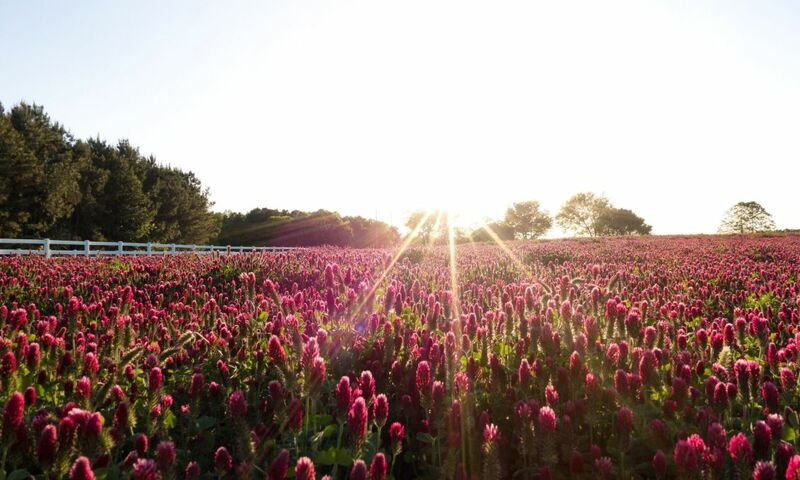 Have photos from your visit? 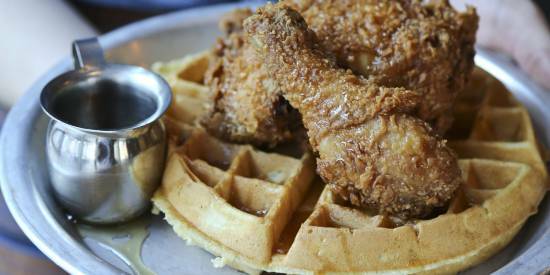 Tag them on Twitter and Instagram with #visitRaleigh so we can see and share! Guide to the Neuse River Greenway in Raleigh, N.C.